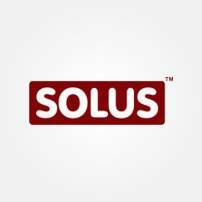 SOLUS Advanced Access Control & Security solutions, that compare with the best in the world. Solus protect and secure enterprises with advanced systems, both hardware and software. Specifically we make and market, Access Control, Time & Attendance, Visitor Management, Vehicle Access & Parking IP Video Management Integration systems. these include hardware, software, plus Accessories related to these systems, and of course, a entire set of services for managing these systems.